If name or number ordered, input here. Practice makes perfect, so be sure you practice with the best: our soccer practice pinnies! Our soccer practice pinnies (also known as soccer pennies) are made of lightweight, durable mini-mesh polyester for extra durability. Available in one youth size, one adult size. 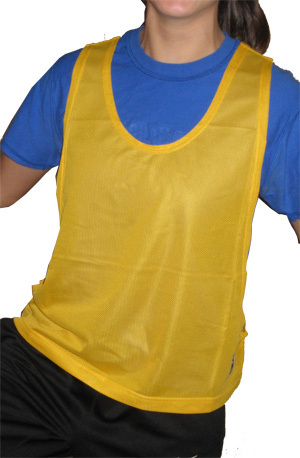 Buy 6-packs of soccer pinnies per size/color and save more!